When the passengers found the musician who probably could create the onboard music for the upcoming months, they wanted to hear some samples. The only recordings, which were available in that moment, where the last recordings of the designated music director. He prepared three tracks for a tiny little show during diner. The diner room on SS Hope is not very well isolated, so you can hear the droning of the engines all time. 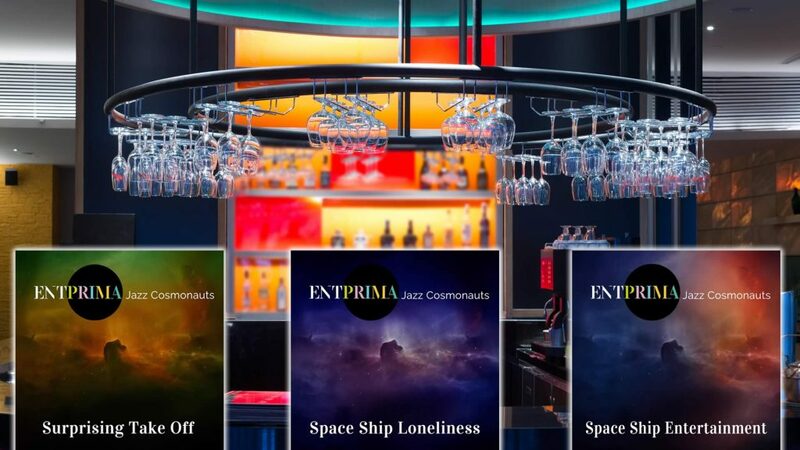 To give you the chance for sharing the imagination, we released that tracks, which were originally recorded in the last century, in a new sound ambience, which has the feeling of this live event on SS Hope. As you see, the rooms where the music is presented on SS Hope, are important for the kind of sound of the releases. Maybe you already noticed, that music releases in every kind of style has their own world of sound. That is not only the instrumentation, but also the kind of mixing and mastering. If you didn’t notice that before, you are welcome, because inside the story you will learn something about that. For the moment it is evident for that hidden course in music perception, that we are in the diner room so far. Next chapter will tell about other ambiences on board of SS Hope. The picture shows the covers of the three releases mentioned in this chapter. As you see, we also help you visually to group the different kind of music.